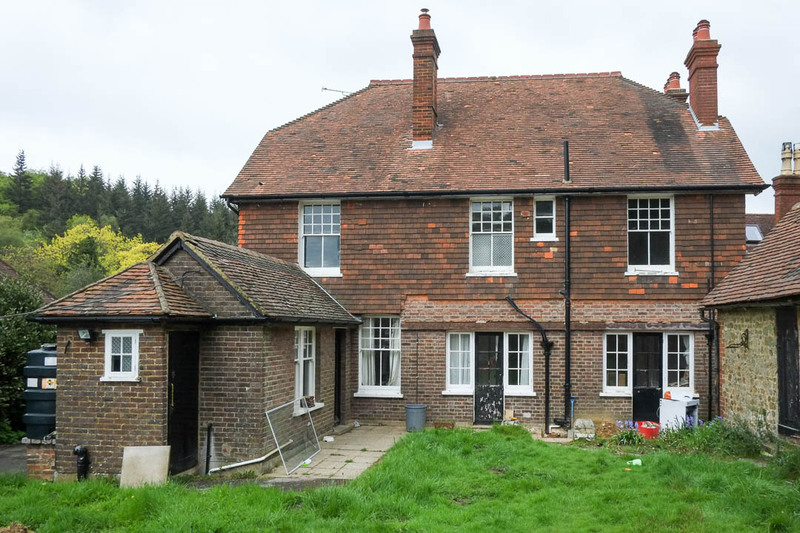 Our client asked us to design an extension for this early twentieth century village home. 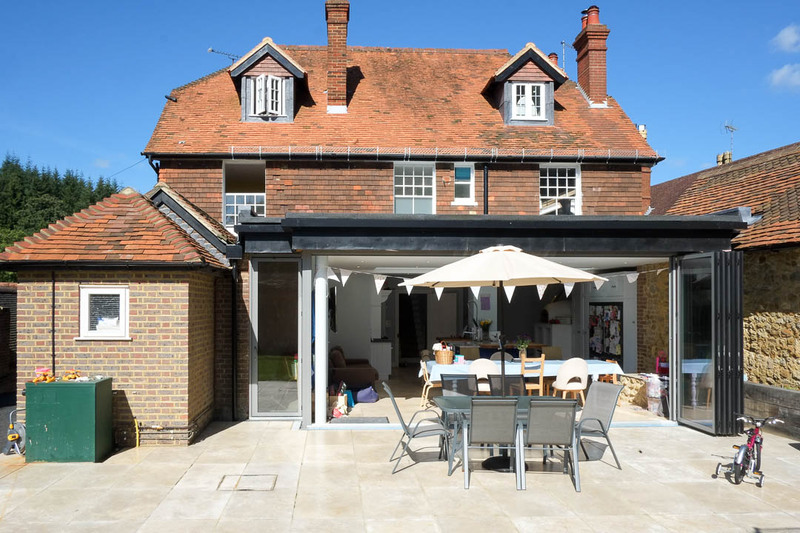 Our brief was to link two outbuildings to the house, creating a larger kitchen and dining areas, as well as a wine store and boot room. 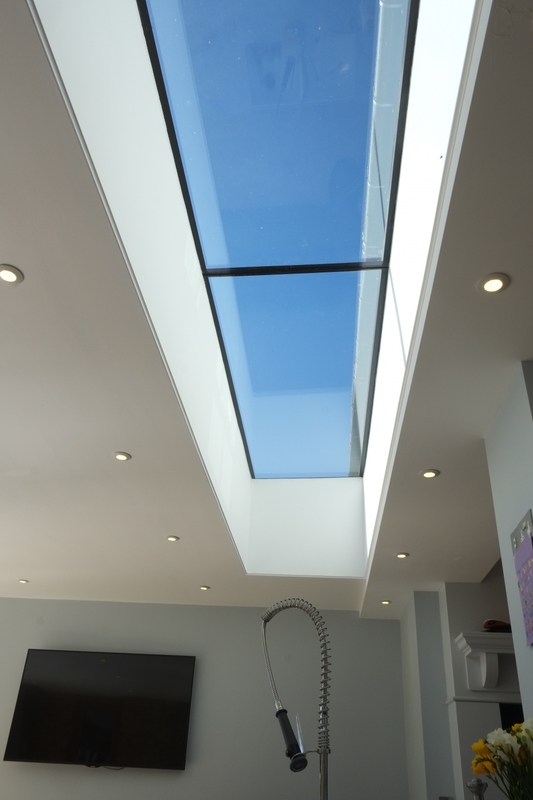 We also refurbished the whole house and converted the loft, inserting new dormer windows in the rear. The extension slots into the U-shaped outbuildings. 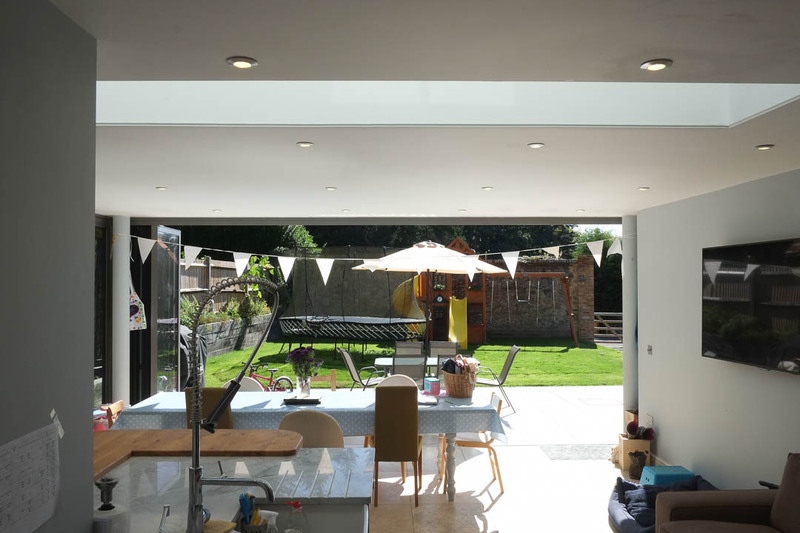 Large areas of glazing and folding sliding doors to maximise views of the garden and hills beyond.